A fan of Oxnard, CA’s finest since his Lootpak days, Jay tapped Madlib for beats for Jay’s ill-fated MCA album. 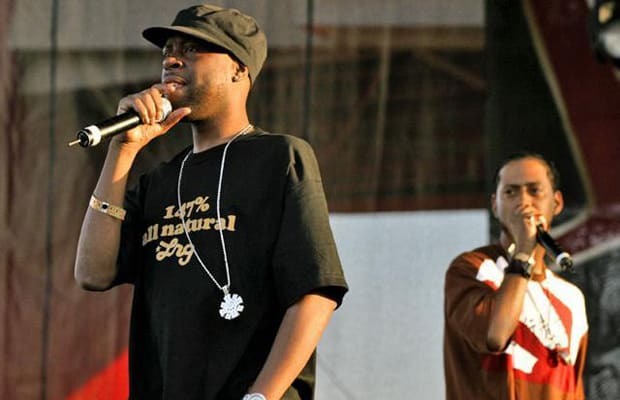 Soon afterwards Jay caught word that Madlib had begun recording verses over Jay Dee beat tapes, and had even pressed up a white label 12” of some of the material. Jay stepped to Madlib saying, "If you want do this let’s do it for real and put out an album." Thus Jaylib was born—a series of collabs that entailed no actual studio sessions, just raw 2-track overdubbed recordings sent back and forth between the two visionary beatsmiths.